Returned to leak search Ac system. Intermittent problem with water tank. 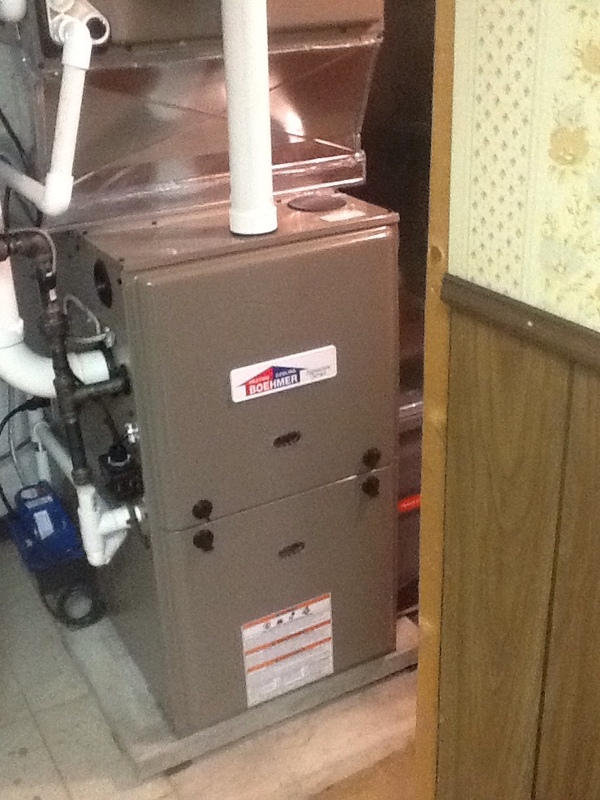 Considering a new furnace for your home? Having difficulty with your ductless mini split? Want to make sure that your home is as energy efficient as it should be? Get in touch with our team today. We will make certain that your home feels just the way you want it to with our extensive heating, air conditioning, and indoor air quality services in White Oak, PA. Whether you’re looking for a custom system to match your comfort requirements, or you’re having serious indoor air quality issues in the home, and want a quick solution, we’re the company to call. For outstanding residential heating, air conditioning, and indoor air quality services in White Oak, call Boehmer Heating & Cooling. We know that it can be a real struggle to get through the winter in some degree of comfort. With subzero temperatures and heavy snowfall, you always want a warm home to come back to after a long day at work. What you may need is to consider a new heating system for your home. 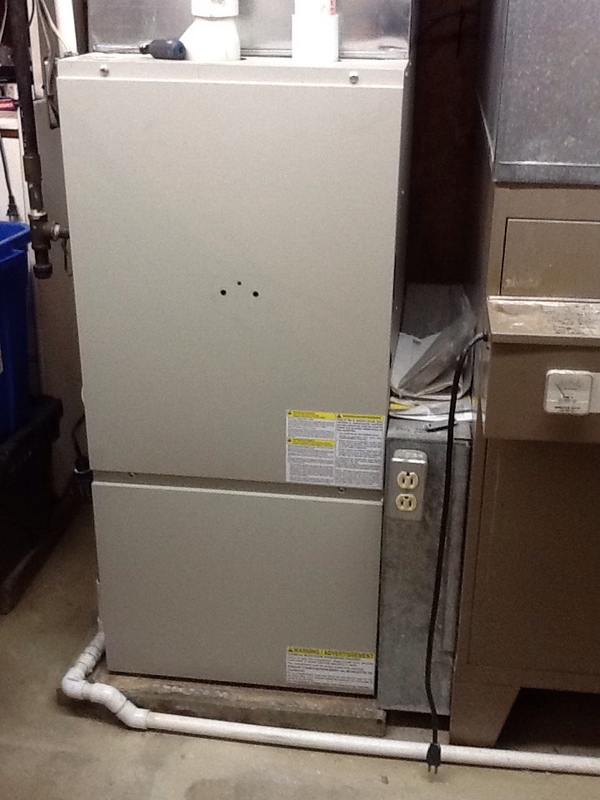 Have you thought about a new furnace, boiler, or heat pump? Or if your system is still in decent working shape, when was the last time you had it inspected or cleaned up? Let our heating technicians in White Oak know what you need. What’s So Great about a Boiler? The boiler is well–regarded as a comprehensive heating option. But why do people keep coming back to boilers? One of the primary reasons, as you may already know, is because it’s a radiant heating system. That means it doesn’t heat the air directly–just your body. Give us a call to learn more about our boiler services. But let’s not sell the furnace short. If you already own a ducted cooling system, such as a central air unit, then you may want to utilize those air ducts for the distribution of heated air as well. A furnace is a powerful way to heat your home quickly and precisely. We install and service gas and electric furnaces. The heat pump is an exceptional way to create comfort within your home year–round. It works much like an air conditioner (or even a refrigerator) by circulating specialized refrigerant through different phase states in order to move thermal energy from one place to another. Whether you’re in the market for a new heat pump or your existing one no longer functions, we can take care of it. If you want the best possible performance, that is. While you should fully expect your whole–house air conditioner to operate well for years and years after its professional installation, it won’t do so unless it’s also inspected, cleaned, and tuned–up. Our air conditioning maintenance service is the best way to make sure that your central AC, heat pump, or ductless mini split is not just okay, but is saving you money and keep your family members comfortable at all times. In addition to providing our customers with air conditioning replacement, we also offer air conditioning installation for brand new systems. And when it comes to such new equipment, everything depends upon the selection of your system. Make sure you get this right by giving our team a call. We can make certain that your AC functions just as it ought to from day one. If your AC is acting up, then don’t think for one minute that the problem will address itself. You’ll need to hire a professional to come have a look, and we can do just that. We specialize in comprehensive air conditioning repair services for homeowners throughout the area. Reach out to our team today. While an ordinary heat pump uses the air surrounding the outdoor unit as a source and destination for thermal energy, it can have some trouble retaining efficiency during very cold and very hot temperatures. The geothermal system (also known as a ground–source heat pump) does not have to combat the extreme temperature fluctuations from season to season, but relies only on the moderate year–round temperature of the earth. We offer outstanding geothermal services throughout the White Oak, PA area. The development of the modern home has given us outstanding luxury and comfort, but it has also meant a much less ventilated space. You’ll need to make sure that your home is adequately ventilated, of course, but also that it is free of airborne contaminants and pollutants and optimized in terms of humidity. We offer a number of different solutions, including dehumidifiers and humidifiers, air filtration systems and UV air purifiers, as well as ductwork services. Let us keep your air clean with a whole–house air purifier or air filtration system. We offer plenty of different options for your consideration, including media air filters as well as electronic models. Contact Boehmer Heating & Cooling today to learn more about your air quality options. Our technicians can make sure that you have everything that you need. Very satisfied with the installation of our new air conditioning unit. Their attention to detail was very impressive. Boehmer been our heating and air conditioning providers for a long time and we highly recommend them. Jerry Taylor has always been an excellent representative for your company. We always Ask for Mr. Taylor. In the last five years we have had two deaths in our family and on his own Time Jerry has paid his respect and came to the funeral home. Our dog,waits for Jerry because he brings him a treat. Mr. Taylor is an asset to the company! I had my furnace checked for the winter. Best service man we have ever had. He inspects and cleans our furnace every time. Ralph is quick and helpful with information. He also has kept my old a/c running. True Professonal did a excellent job, would definitely recommend him. Out of the previous Boehmer techs that have serviced our equipment, Ed was dedicated to his tasks and spent more time involved with the equipment. He was dedicated to his work and his discipline all while engaging the customer in relative conversation . he was personable and pleasant during the service call. Would recommend his service and expertise to all...made a difficult and scarey situation (for me) less frightening/his explanations and thorough work was greatly appreciated!!! Ralph was here on time and did a very good furnace check. 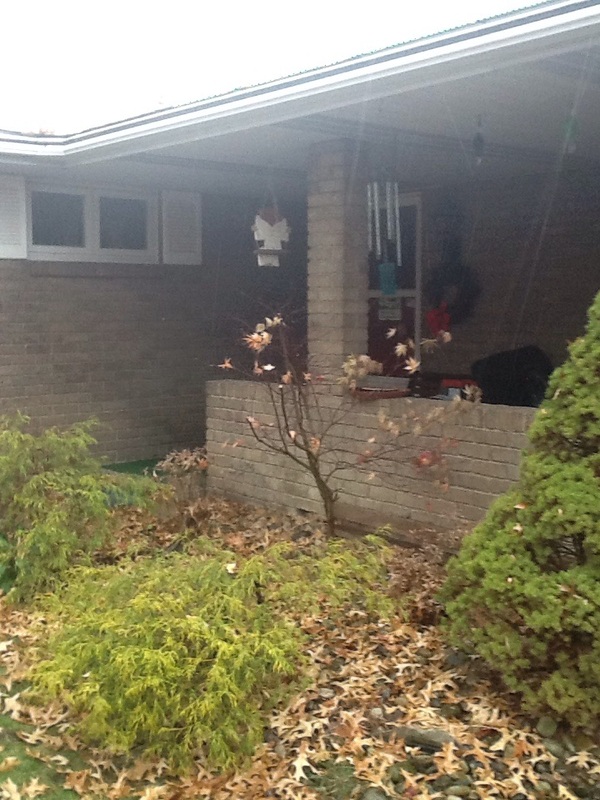 Ralph was very helpful and explained in detail what services he performed on the furnace. He was here right on time! Ralph communicated with me regarding his arrival time, he was thorough and diligent in performing the furnace tune up and checkup, and he took the time to explain the results to me. I felt like I got my moneys worth. Fast Response and Expert Service. Finally a company that provides fast service response and has personal who are the best at what they do for a living. Everything worked out very well. Service was timely, efficient and I expect uninterrupted service for the winter. Good job. Service agreement needs explained better. I paid you. You came out & I had to pay again. ? I get the tune-up but if its not working it needs fixed & a tune-up? Nothing this new should break this much. But I will say the service tech was very good. 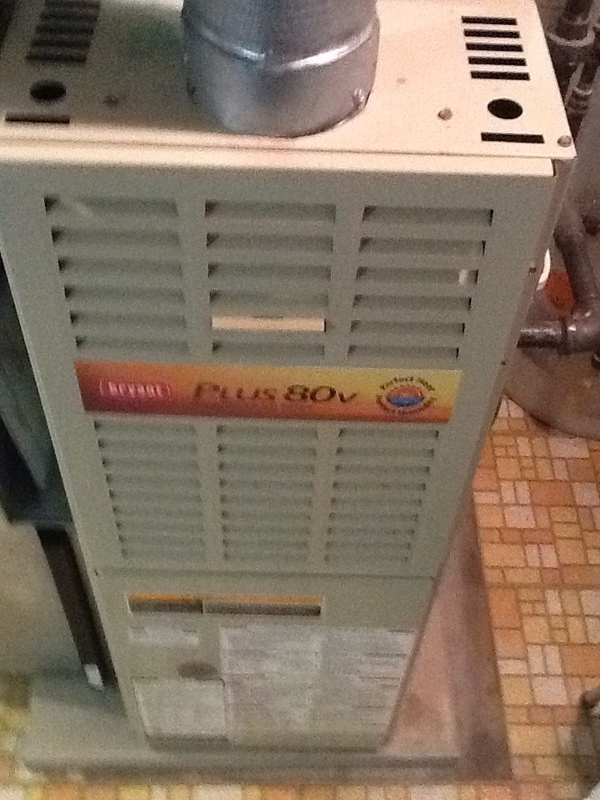 No heat call on a Frigidaire furnace. No heat. Troubleshoot furnace, problem was door safety switch. Correct- heat on ok.